The way you document and share your wedding photographs with your loved ones can bring the story of your big day to life in a whole new way. I work with my wife, Sara, a professional layout artist, to storyboard our couples’ wedding images in beautiful, bespoke books that will last for generations. As a team, we use GraphiStudio wedding story books, printed and bound in Italy, to ensure the best possible printing and cover quality. Once we receive a selection of a couple’s favourite wedding photographs, we work together to edit a spread of images in our signature style and finish them with detailed personalisation and elegant presentation. 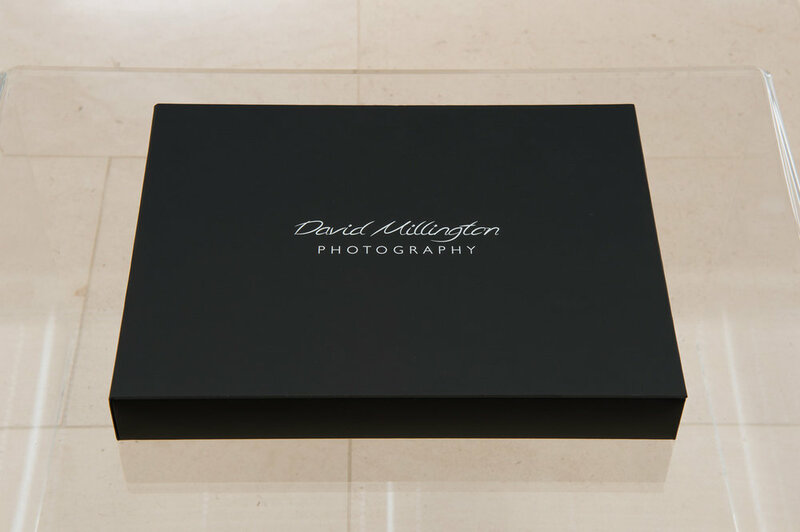 We usually offer a 25cm x 35cm wedding story book with a wide selection of luxurious leather or contemporary acrylic covers, although other sizes are available on request. Personalisation can include the couple’s names, names and wedding date or just the wedding date. Our most popular book is a twenty page side story for which a couple can select up to forty images, however the size can be increased to up to an enormous one hundred page sides. Duplicate or mini books can be ordered for family and friends and make a beautiful keepsake of the wedding day. How do we work and how soon can you preview your wedding story book artwork? Our couples select their favourite wedding photographs from the day using our user friendly web site. We always leave this choice with the bride and groom and their families, as they are best placed to decide what images are most important to them. My wife, Sara, is a professional layout artist. Once she receives a selection of a couple’s favourite wedding images, she sets to work telling the story of the day through the layout of the photographs. A private preview of the design and layout of the wedding book pages is then uploaded to our website for a couple to view and approve before it is uploaded to Italy for printing and binding. Because we work as a team, we are typically able to send couples a first draft of their wedding story book layout within a working week, depending on the size of the book and our availability. What's special about our wedding story books? We often hear back from couples that Sara’s expert eye has shown them their own wedding in a whole new light. Sara ensures that the story is told in a way that really reflects the atmosphere and emotion of the day. We feel that GraphiStudio books are the best of the best. We also use top quality photographic paper that we feel displays the most accurate and vivid colours, reflecting on paper what we see on our professionally calibrated monitors. The books also offer a variety of printing options, making the finished result dynamic and stunning – for example, it is possible to scale images across a double page spread with no gutter or line down the middle.